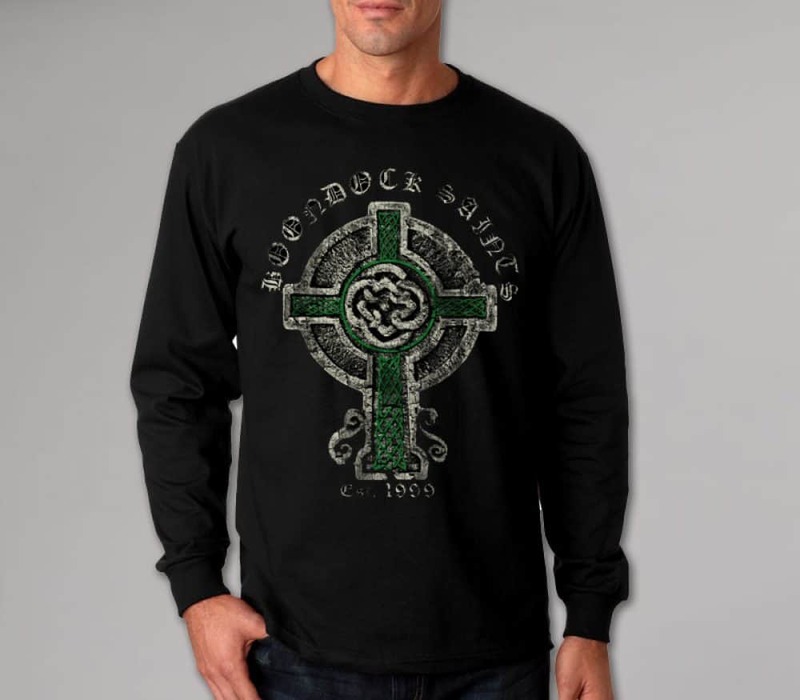 Our long sleeve features a distressed stone cross with the words “Est. 1999” and “Boondock Saints” written in Old English. Printed on soft high quality 100% cotton.